The Baltimore Ravens promote responsible drinking and positive fan behavior at M&T Bank Stadium. The Ravens Fan Code of Conduct and the details of the Ravens alcohol management plan that appear below ensure that fans have a safe and fun experience. Ravens fans are the best in the NFL because of their enthusiasm, team support and sportsmanship. Fans help shape the Ravens image. We encourage our fans to create a high-energy environment in lending support to the team while maintaining a friendly and family-oriented atmosphere. Abusive/foul language or fighting will not be tolerated and will result in immediate ejection without refund. All game day employees work hand in hand at each of our games to ensure your game day experience is a positive one. Have fun, root hard, show respect for the fans around you, but don’t be a jerk! 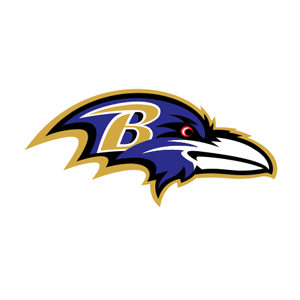 The Ravens reserve the right to eject any person whose behavior is unruly or illegal in nature: First-time offenders will be ejected from the stadium immediately. Second-time offenders will lose their season tickets. Fans who jump onto the field during the game will be arrested for trespassing. Guest Assist is the text messaging service available to guests at M&T Bank Stadium. Any guest may call for assistance during events by sending a text message from their cell phone. By using the Guest Assist system, you will be able to report issues and concerns, and call for assistance in a fast, easy and convenient way. Fans of legal drinking age who hold a valid driver’s license are eligible to become designated drivers. For pledging not to drink alcoholic beverages during the game and for accepting responsibility for driving other members of their group home, designated drivers receive a redeemable coupon for use at the concession stands for one free O’Doul’s non-alcoholic beer or Coca-Cola fountain soda product during the game. Sign up at any Guest Services Center or on the Club Level at any one of the four concierge desks.